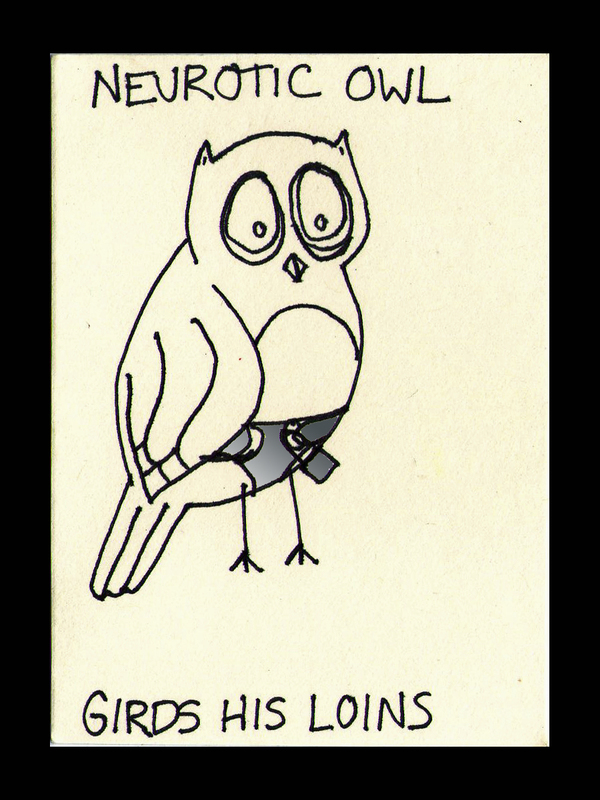 Because didn’t you always want to see an owl in a chastity belt? This is not going to help my Google search terms list. This entry was posted on September 23, 2013 by naralesser and tagged anachronisms, overly long titles, owls, paronomasiacs.